Hope in Patience, 1st edition, was named a YALSA Quick Pick for Reluctant Readers in 2011! 2nd edition released by Steady On Books in 2016 is exactly the same as the 2011 version, with the exception of the cover. Big Fat Disaster (Merit Press, 2014), is on the 2015-2016 Spirit of Texas-High School Reading List! The Texas Library Association created a study guide for it, too! “As always, I am amazed at the honesty in Beth’s writing. The characters in Big Fat Disaster sing with truth and reality. Colby’s struggle with binge eating, body image, bullying, family dysfunction, and suicide make her the kind of character you want to wrap in a big, messy hug–the kind of character whose journey you want to see through to the end. What I love most about Beth Fehlbaum’s writing is that she comes to the page unafraid every single time she writes. Her writing never has a feeling of hesitation or of looking over her shoulder or holding back. She creates heart-to-heart-style–that is to say, from her heart straight to the heart of her readers. Her characters–the good and the bad–come alive in a way that is rare and beautiful in YA writing, and that speak loud and clear to teens who really, really need to hear what they have to say. B.F.D. (Big Fat Disaster) stays true in this regard, true to that all-important message: Hang in there. You are not alone. From Jennifer’s website: Jennifer’s debut novel, HATE LIST (Little, Brown Books for Young Readers, 2009) received three starred reviews and was selected as an ALA Best Book for Young Adults, a VOYA “Perfect Ten,” and a School Library Journal Best Book of the Year. HATE LIST also won the Michigan Library Association’s Thumbs Up! Award, the Louisiana Teen Readers Choice award, the 2012 Oklahoma Sequoyah Book Award, was an honorable mention for the 2011 Arkansas Teen Book Award, is a YALSA 2012 Popular Paperback, received spots on the Texas Library Association’s Taysha’s high school reading list as well as the Missouri Library Association’s Missouri Gateway Awards list, and has been chosen to represent the state of Missouri in the 2012 National Book Festival in Washington, DC. Jennifer’s second novel, BITTER END, (Little, Brown Books for Young Readers, 2011) received starred reviews from Publishers Weekly and VOYA and is listed on the YALSA 2012 Best Fiction for Young Adults list and is a 2012 Taysha’s high school reading list pick as well. Librarian, Keller High School, Keller, TX. 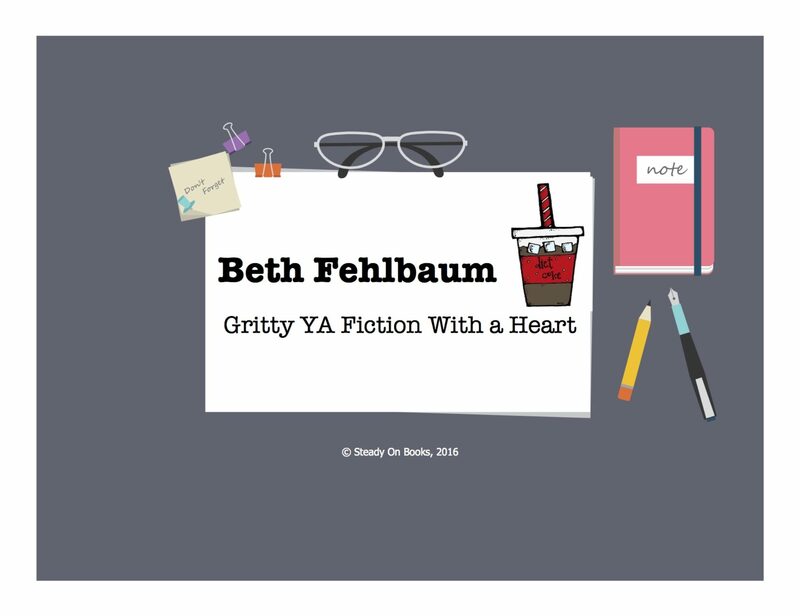 Truth in Patience is the third installment in the PATIENCE series by young adult author, Beth Fehlbaum. It follows the struggles of teen Ashley Asher in the aftermath of sexual abuse. Ashley follows her path to healing despite struggles with self-worth, intimacy and family relations. This courageous teen must find a way to deal with her demons, and stand up to the people who should have been have protecting her from the evil she endured. What a tragic story to tell, but one that needs to be heard. Beth Fehlbaum paints a tragic, but realistic picture of what’s left in the wake of sexual abuse, and the damage it does to its victims. Kudos to Beth’s brave efforts in advocating for those whose voices are silenced by those close to them. I think these stories MUST be told, and those who let it go on and keep it quiet should be exposed and held accountable. I highly recommend this book, and encourage readers to start with book one, Courage in Patience, so Ashley’s story gets a chance to be told. I cannot explain how this book made me feel. To know there are monsters in the world around innocent children like Charlie; to know that there are parents who would sacrifice their children to these monsters makes me so angry I see red. But to know that even after the hell some of these children endure, there is help, there is hope, there are people who care and can help them if they have the support to tell their story. I cried reading the struggles of everyday life Ashley faced after her abuse. She was a good girl who endured so much evil in her childhood. This book is an eye-opener. To realize that Ashley’s story is not isolated, there are thousands of children who are abused in the safety of their homes everyday. There are hundreds of children who suffer in silence because the people who are suppose to protect them fail them. Evil like this exists in the world and we as a society need to open our eyes and see it. We need to be the voice of these victims. Truth in Patience is a horrific, heartbreaking story, yet it is brave, strong. Beth Felbaum is a courageous writer, an advocate and a survivor. This series should be read by all school districts and social workers to try and understand the horror these children of sexual abuse face everyday. Thank you Beth for this story. This story was raw. It was a hard story to tell, especially from an author who has lived through the struggles. I don’t normally pick stories like this because of the memories they bring back, but I realized it had been a while and the author’s connection to the subject matter caught my attention. It’s nice to relate and see the passion and strength behind her words; to be able to witness what people can do with their life once they have overcome past struggles. This story held a strong, grounded message. It was hard not to cry at least once if not multiple times. It left my heart aching for those in similar situations. My favorite part of this book was the intertwining of Chris Crutcher’s novel and the discussions and controversy it lead to between such diverse characters. The main plot involved a group of students from a small town in Texas who were told to read a novel with a main character who is a minority referencing any racial, religious, political, national, or other group thought to be different from the larger group of which it is part; leading to the entire class choosing Chris Crutcher’s novel, Whale Talk. In reality a perfect candidate for Mrs. Asher’s reading assignment could have been Truth in Patience. Truth in Patience represented beautifully a minority from each of those categories. It was intriguing to see how both the minorities and antagonists reacted as they discussed how they were each represented in the class reading assignment. It held revelations to the struggles faced by the other party both internally and as the reader.